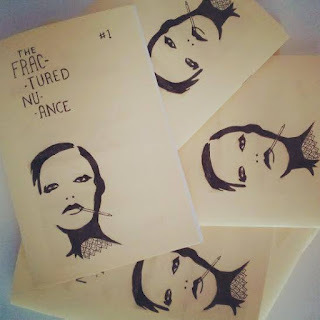 A new lit zine hot off the press from editor/writer/teacher Kate Tattersfield whom I had the pleasure of meeting Kate at a recent zine. It always warms my heart to see new lit zines come to life. This inaugural issue, whilst short and sweet, is a pleasure to read. There is no overall theme in place however I noticed that many of the pieces seem to linger on themes of death and loss. A particular highlight for me was a short story by Canadian writer Matthew Walsh. I am very looking forward to the next edition. Another new lit zine on the block straight out of Derry, Northern Ireland. It was created by a team of editors (interestingly and refreshingly all of whom are female) and this first issue packs quite a punch. 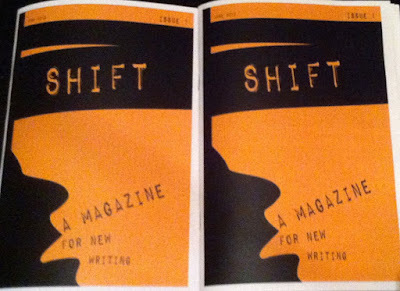 There are too many great pieces of writing to pick out a favourite but I especially enjoyed the unique introduction to the issue; a dialogue between two voices ruminating on their rebellious enthusiasm for life in their younger days and how that spark of rebellion is reignited in the form of SHIFT. I am looking forward to seeing how this one evolves because I have an inkling that the sky is the limit for these ladies.